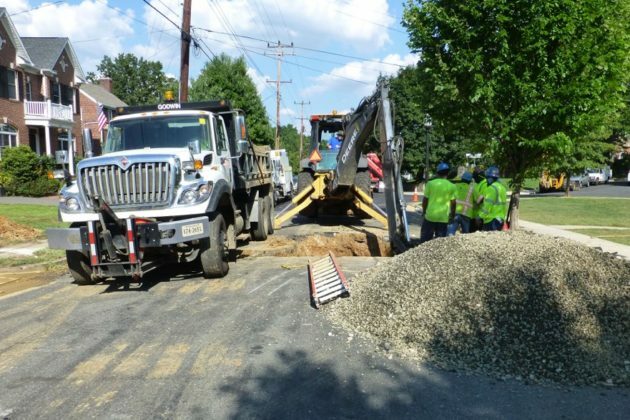 A majority of construction-caused natural gas line ruptures in Arlington occur despite excavators calling Miss Utility to locate underground utility systems prior to digging, according to the latest figures. 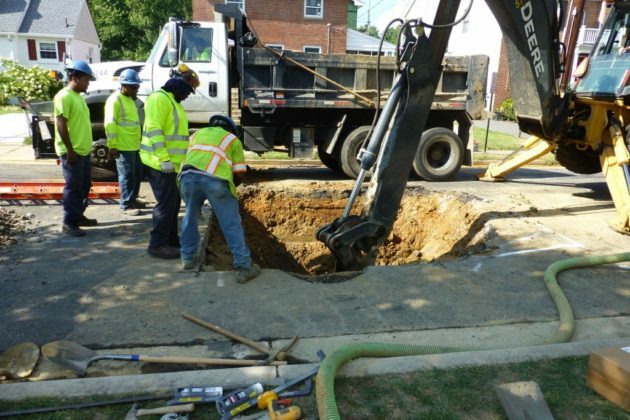 For fiscal year 2015, Washington Gas, the local gas utility that serves Arlington, reported 48 incidents of damage to its gas distribution system in the county. Of these incidents, 73% were caused by excavators, and, of those, 63% occurred despite the contractors calling Virginia 811, the state’s Miss Utility call center, prior to excavation, the utility said. As recently as late July, a gas leak was reported on S. Fillmore Street in an Arlington neighborhood with a mixture of single family homes, duplexes and apartment complexes. Four blocks were shut down after the gas began to leak out. Reports suggested a construction crew working on the sidewalks ruptured a 3/4-inch gas line. Digging damage to other underground utility systems like water mains and fiber optic cables also are common, though statistics on those incidents were not immediately available. Because of the combustibility of natural gas, utilities are required by the state of Virginia to keep records on gas line ruptures. Employees with Arlington County’s water and utilities division ruptured a water main on Aug. 30 as they were doing excavation work on a residential street to connect a new water pipe to a house undergoing major renovations, causing an eight-hour water outage in the Highland Park-Overlee Knolls neighborhood. The rupture occurred even though surveyors had come to the 22nd Street N. site prior to the excavation work to spray paint yellow, blue and other colors marking where underground utility systems were located. The markings showing the location of the underground water main that serves a portion of the neighborhood were not accurate, according to county workers at the scene. The colors indicating the existence of an underground water line appeared to be at least three feet from where the water main was actually located. Frustrated by the water main rupture, the workers complained that the mapping of underground utility systems is routinely inaccurate. 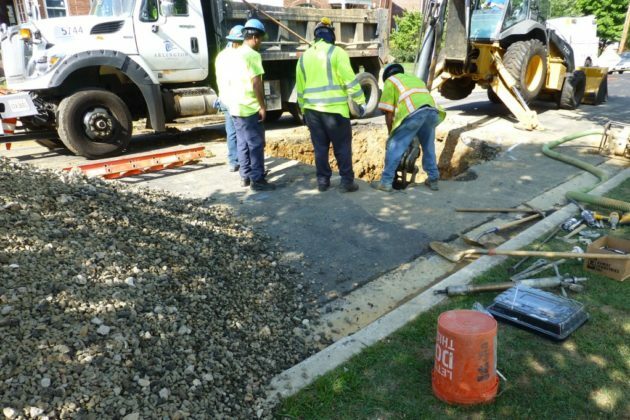 Arlington County uses a contractor, Double H. Locates LLC, for locating and marking of the county’s water mains, sanitary sewers, storm sewers and county fiber optic lines prior to excatvation. For natural gas lines, Washington Gas contracts with UtiliQuest. Double H. Locates did not return calls for comment about the water main rupture. The science of locating underground utility systems using remote-sensing instruments and maps provided by utilities remains very challenging, even for the best firms, according to Michael Maguire, president of Accurate Infrastructure Data Inc., a Baltimore-based company that provides underground utility investigation, subsurface utility engineering, surveying and mapping services. These locator companies recognize their work is not foolproof. Excavators are reminded constantly to call Miss Utility before digging. The call center will notify utility companies when excavation work is proposed in the vicinity of their utility system and then each utility has the responsibility to send out surveyors to locate and mark the utilities on the ground. Arlington County is a member of Virginia 811, a not-for-profit organization created by Virginia’s utilities. Virginia 811 has more than 600 utility members, as large as Verizon and Dominion Virginia Power and as small as water utility systems with only 20 or 30 customers.